I kinda want to test this card in tempo mage, but I guess it's a little too greedy with mana wyrm already. Has anyone tried this? 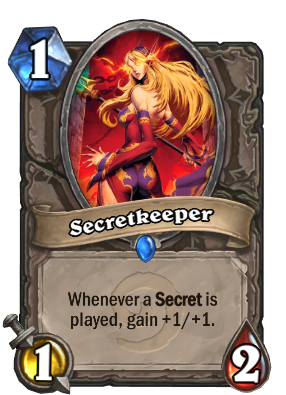 Im looking at the deck statistics... Who put the secret based card in a deck from the class without secrets? This card is the most frustrating there is in a secret paladin deck. Imagine how OP this card would be if all MC secrets worked on it.